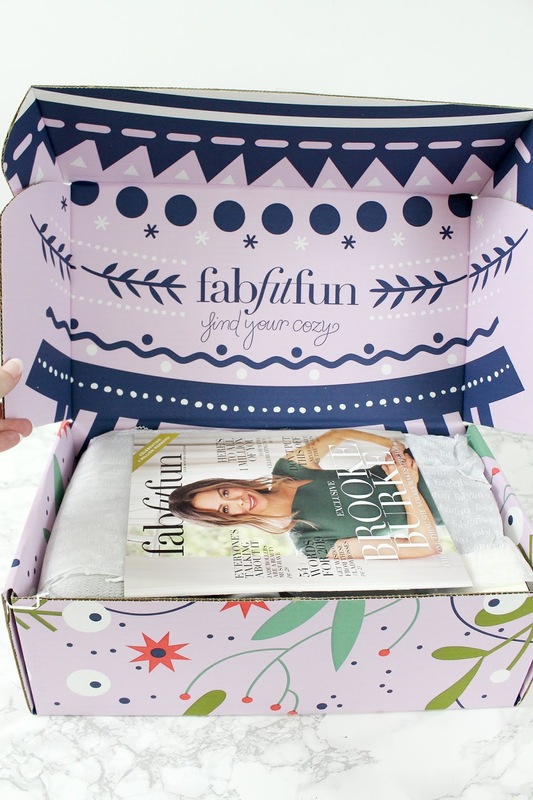 Southern Mom Loves: FabFitFun Winter 2018 Unboxing & Add-On Haul + Get a Box for $39.99! 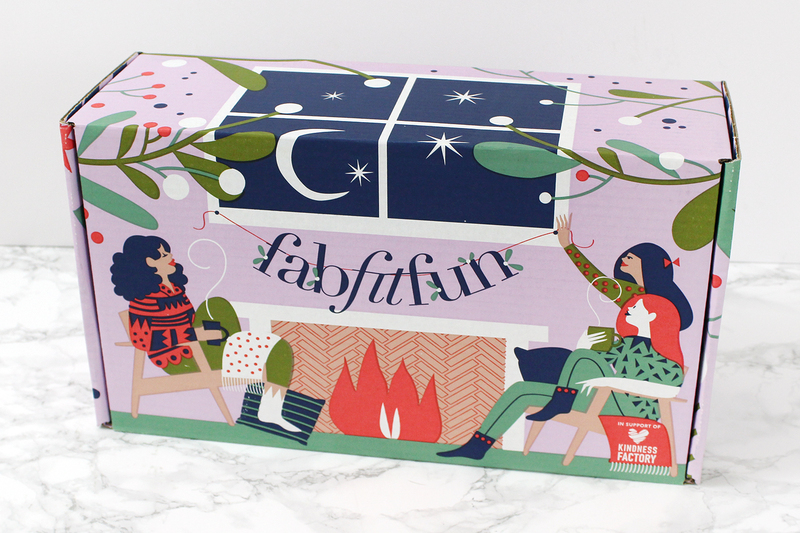 FabFitFun Winter 2018 Unboxing & Add-On Haul + Get a Box for $39.99! Hey, guys! 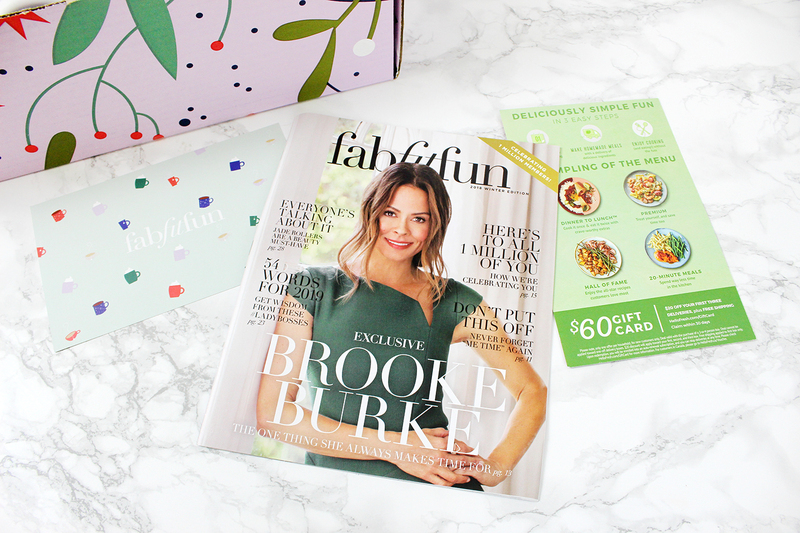 I received my FabFitFun Winter box and I couldn't wait to dive in to do an unboxing! If you read the spoiler posts, I just found out that there is a surprise item included in the boxes, so that was a cool little thing to see. 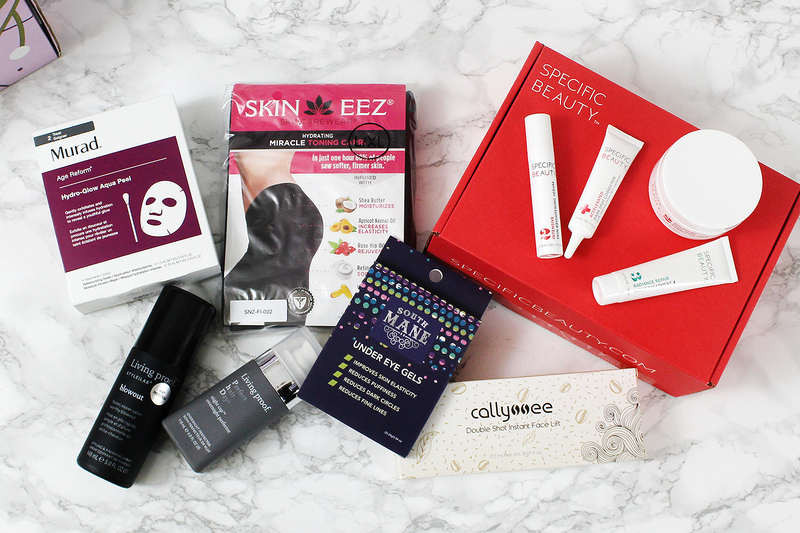 I'm also showing you my haul from the amazing Add-On Sale that ships with your box + a little treat that was inside + giving you a discount code for $10 off your first box! Let's get to it! This is what was in the giant box delivered to my doorstep. One thing I didn't realize is that there are "sponsored" products that can be included in your box at no extra charge. 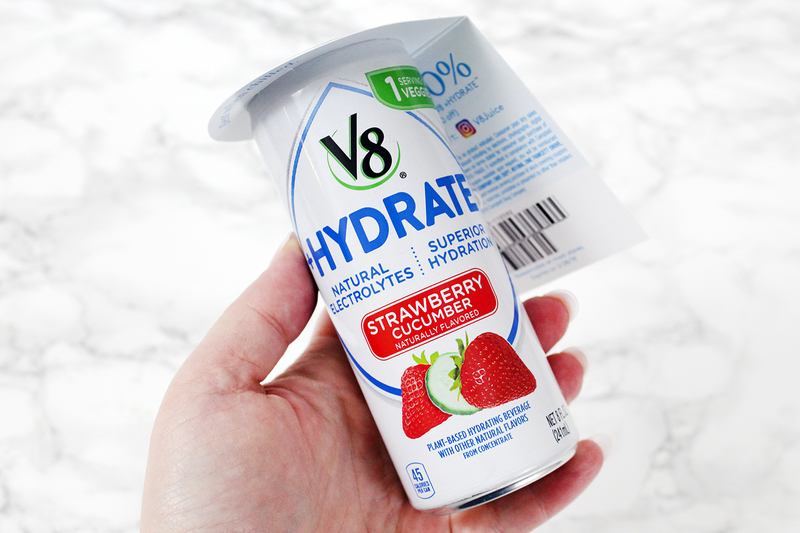 Apparently, these are just kind of like free samples, but you have to indicate on the site if you would like to receive them, so I got a can of the new V8 Hydrate drink in Strawberry Cucumber which was pretty good. There was also a new flavor of pesto from Barilla, but that one was already gone by the time I made my choices. Speaking of acting fast, I had no idea of the craziness that is the Add-On sale. It works like this: The Add-On sale starts before the box ships and the Annual Members get first crack at items before the sale opens up to the Seasonal Members. You add items to your cart and leave them there. Whatever is still in your cart when your box ships gets shipped with your box and charged to the card on file. I was getting emails about the add-on sale like it was a countdown to Christmas. There was even a time listed for when it started. I was not that concerned, but since I upgraded to annual after my first box, I thought I should maybe check it out if I got some time that day. You know, get a head start, lol. I found so many items I wanted but then noticed that they were already sold out. Luckily for me, I have the patience of a rock and the online shopping savvy of a broke girl. Tip: If there's an item you really want, open the page and wait. Refresh it every hour or so and as soon as someone wavers like a rookie and removes it from their cart, POUNCE. I ended up getting almost everything that I was eyeing from the sale and the prices were amazing. For every item, I'm going to give you the price and then the sale price. It was ridiculous% off for most of them! 2. 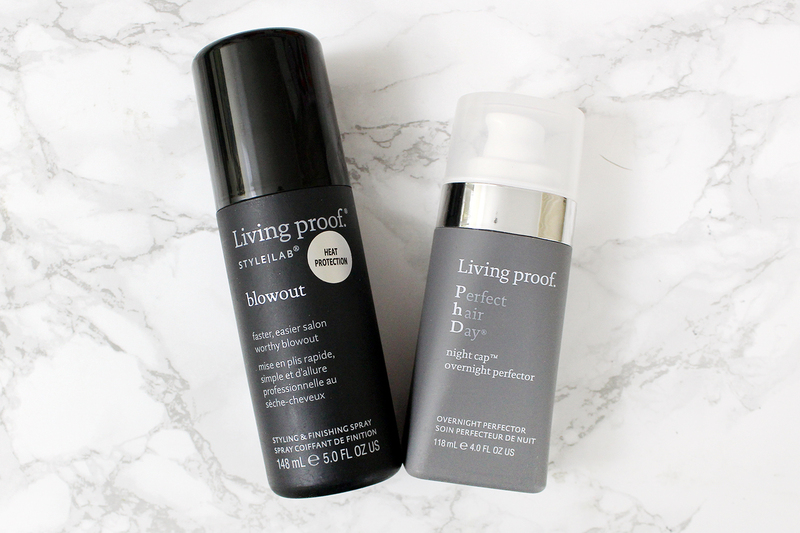 Living Proof Style Lab Blowout (Sephora), $26, sale price: $9. This is a styling spray made for blowouts (my favorite) that creates a faster, easier blowout, reducing the amount of brush work for long-lasting results. A pro blowout for those who haven't mastered the art of the round brush...yet. 3. Living Proof PhD Night Cap Overnight Perfector (Sephora), $29, sale price $9. An overnight "mask" for the hair that provides up to one week of more shiny, vibrant, manageable hair, with benefits that last through five shampoos. It's kind of like a once-a-week leave-in conditioner and it smells amazing! 4. 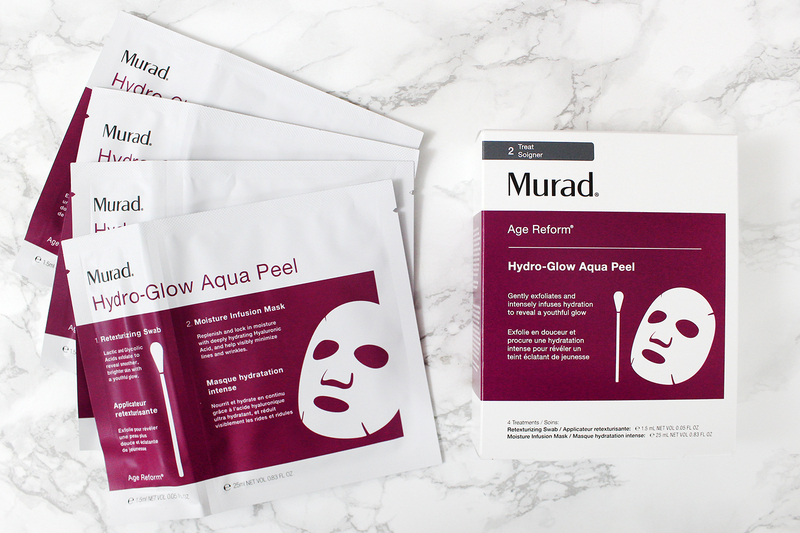 Murad Hydro-Glow Aqua Peel 4-pack (Murad.com), $48, sale price: $14. Each single-use treatment contains a swab with a gentle peel to retexturize and brighten skin and a sheet mask to intensely infuse hydration to visibly minimize fine lines and wrinkles. It's like a $90 spa treatment in a packet. 5. South Mane Revitalizing Eye Gel Trio (Amazon), $10, Sale price: $5. I get terrible swelling from my sinuses pretty often, so undereye gels are my new favorite thing. 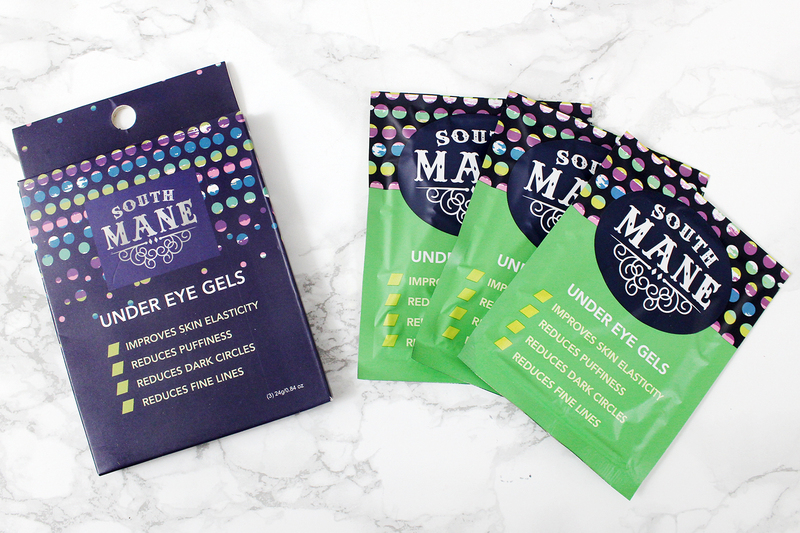 They're refreshing and stay cool (they don't heat up with your body heat) to help minimize dark circles and puffiness. These say they also help with elasticity and fine lines. I'll take it! 6. Specific Beauty Overnight Targeted Treatment (Amazon), $45, sale price: $14. I may have gone overboard with the skincare products, but I usually do. 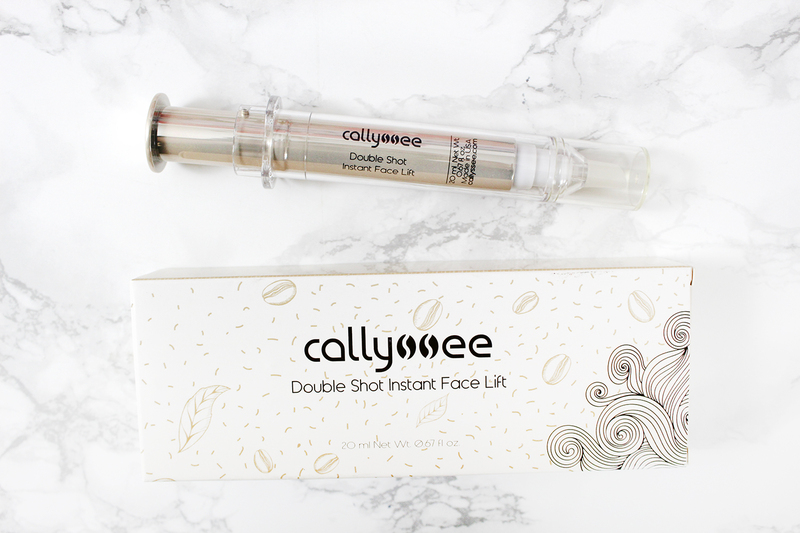 :) This system is all about correcting dark spots and brightening and toning the skin. They're compression leggings that are infused with Retinol, Shea Butter, Apricot Kernel Oil, Vitamins A and E, & Rose Hip Oil. 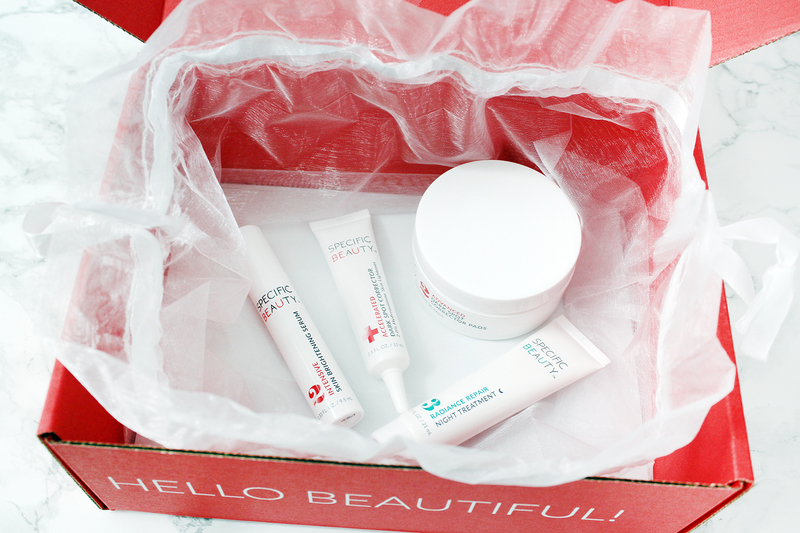 They're "clinically proven to deliver smoother, firmer, and younger looking skin" so I'm giving them a try. I was so hyped to get this! After the Fall box, I couldn't wait to get the next one. It really is like getting a boxful of birthday presents! As always, there's a magazine inside that tells you about all of the box items, gives you tips for wearing or using them, has fun articles and how-tos, and other fun stuff. You'll also find a flyer or two for a deal or discount. It also tells you about this season's contest. 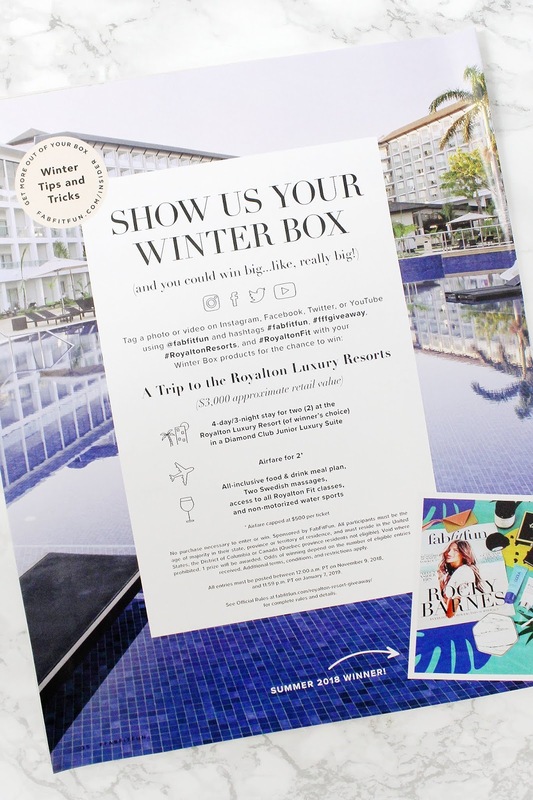 For Winter, it's a vacation to a Royalton Luxury Resort of your choice including airfare for 2, food, drinks, massages, fitness classes, and water sports. 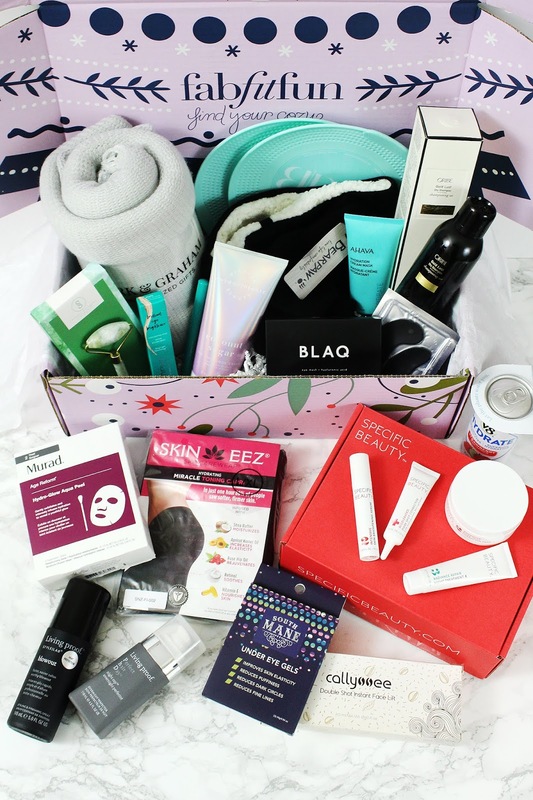 Just share your box photo on social media and tag it up to be entered to win it. 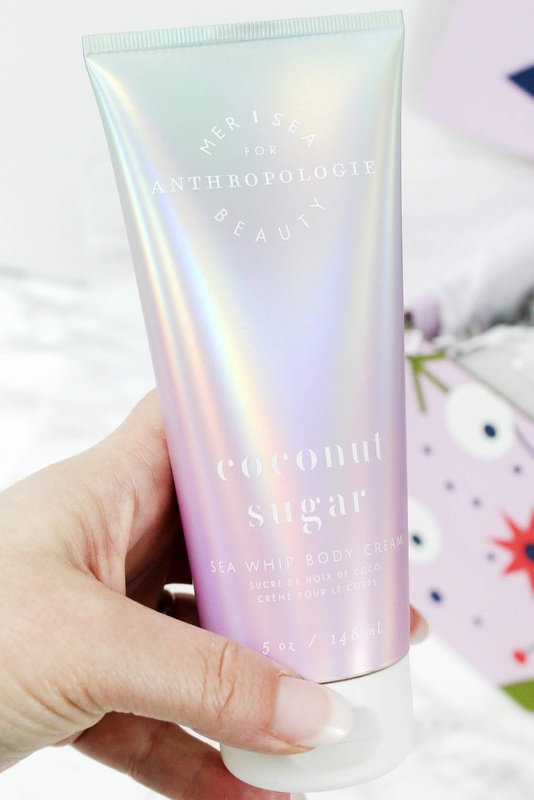 First item out is the Anthropologie x Mer-Sea & Co. Sea Whip Body Cream in Coconut Sugar ($24). It's an all-natural body cream that's enriched with sea whip extract, sea silt, and Dead Sea salt to protect, nourish, and hydrate the skin. I thought it would be too sweet-smelling for me and was planning on giving this one to my daughter, but nope. It smells kind of salty, like a day at the beach, and I love it! Next is a box of 5 Hydrogel Eye Masks by Blaq ($29). 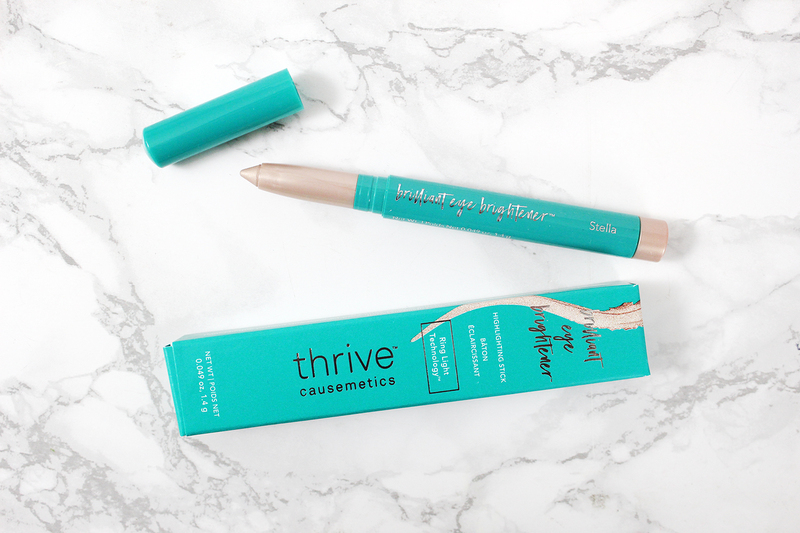 Thrive Causemetics Brilliant Eye Brightener in Stella ($24). It's a visual eye brightener (like adding light eyeshadow to the inner corners) that is infused with macadamia and meadowfoam oil. It's a silky champagne color that instantly highlights and brightens your eyes when you add it to key spots. 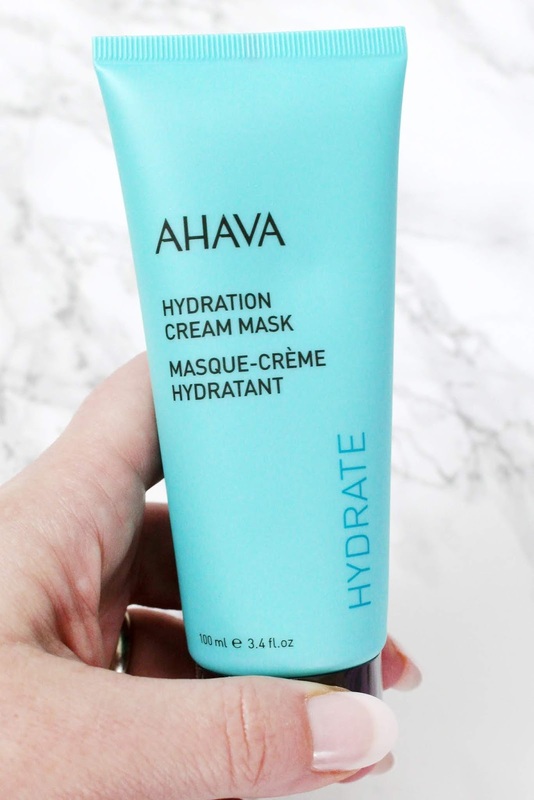 SURPRISE ITEM: AHAVA Hydration Cream Mask ($33). I heard that a few people received a Kate Somerville product, and as much as I love her ExfoliKate, I'm glad I got this one. "Enriched with mineral spring water, shea butter, and vitamin E, this rich, creamy mask will soften and smooth the skin while providing intense hydration and comfort." Winter has hit my skin hard and this stuff has been a godsend. It's an overnight mask that you can leave on or wash off and I've been using it before bed. It is MAGIC. 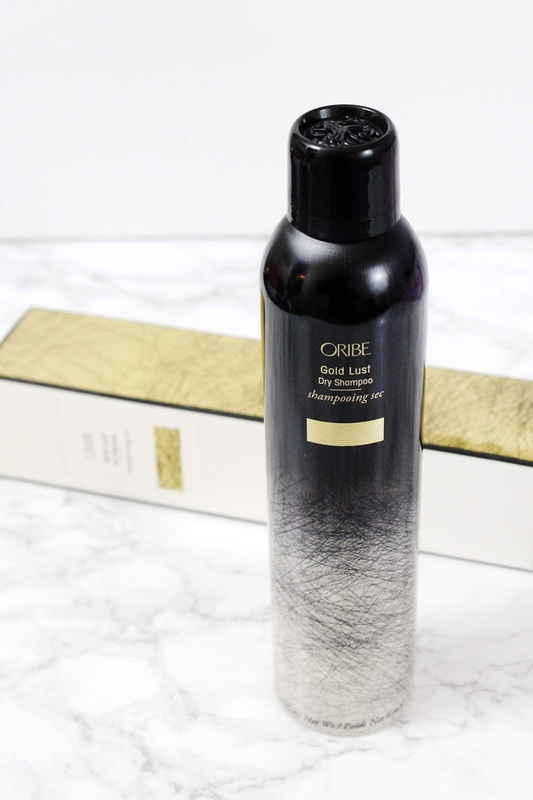 Then, there is the Oribe Gold Lust Dry Shampoo ($44). I...have never had the experience of unboxing my dry shampoo. It really does come in its own box of thick, cream, matte cardstock and metallic ink, like a really fancy business card. Plus, look at the design of that top; So pretty. *sniffs* I'll bet this is what rich people's hair smells like. Next is the Sherrie Matthews Acupuncture Jade Stone Roller ($45). I have to admit that I chose this product simply because it was pretty; I didn't need more socks and I have an eye palette very similar to the one offered. I don't believe in the power of stones for skincare, but I love me some pretty Jade. This is simply a vanity table item for me, but if you do believe in the power of stones, "It’s no wonder this anti-aging beauty tool has been used by empresses for centuries. 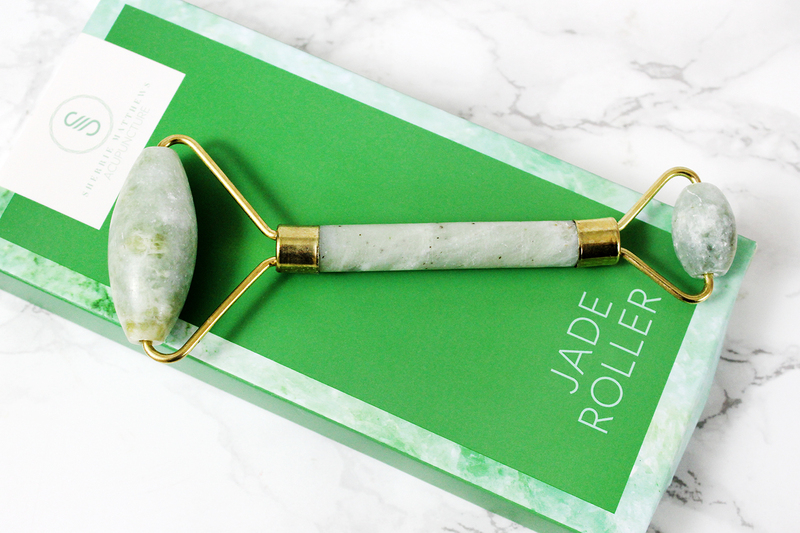 The jade roller will help stimulate qi (energy) and promote a feeling of facial relaxation." Enjoy! 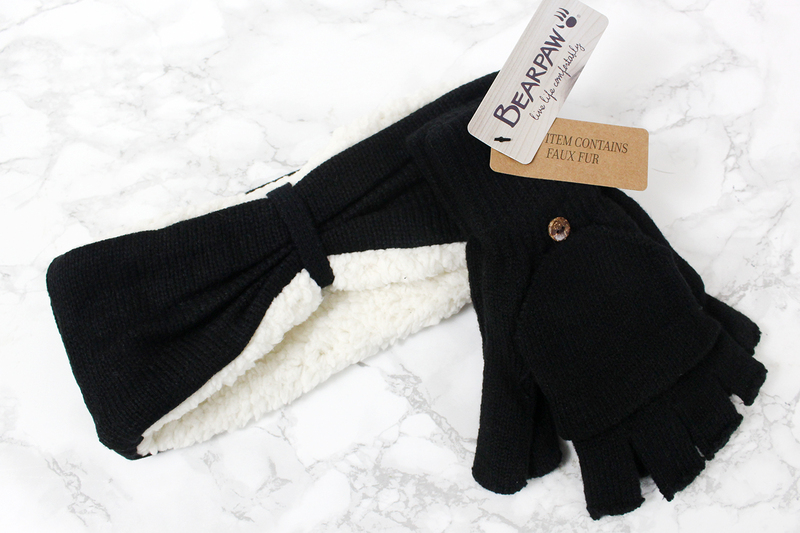 Next up is the BEARPAW Combo Set: Headband and Pop-Top Glove Duo ($45). I know Bearpaw makes some fantastic boots, but I didn't know they made accessories, too. I tried this on asap and it is so cute and warm! The headband is lined with a super-soft & cozy faux sherpa and the fingerless gloves have a button-away mitten top to flip over your fingertips if you need it. LOVE! 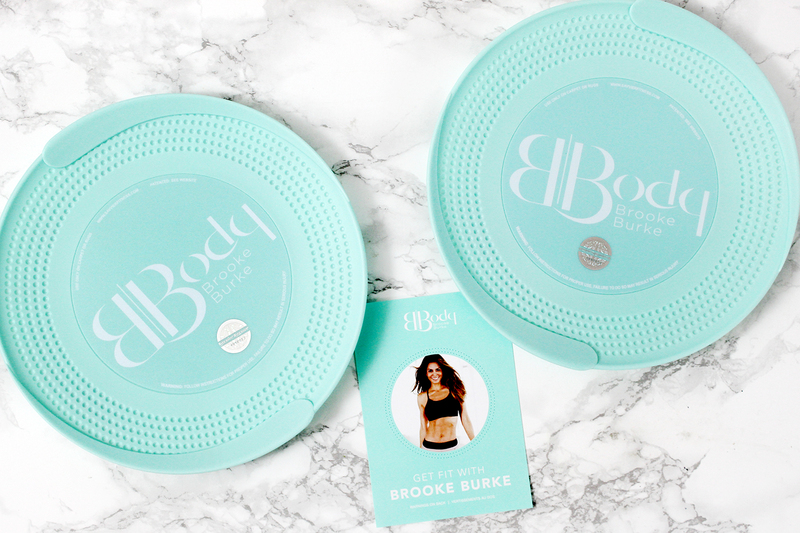 Brooke Burke Body Yoga Sliders ($18). I have to admit I only chose these because the wood slice coasters were sold out and I've already got a very similar lipstick from Bite Beauty. I wasn't altogether sure I would use them, but after watching a workout video on FFFTV, I think these are going to be a lot of fun! 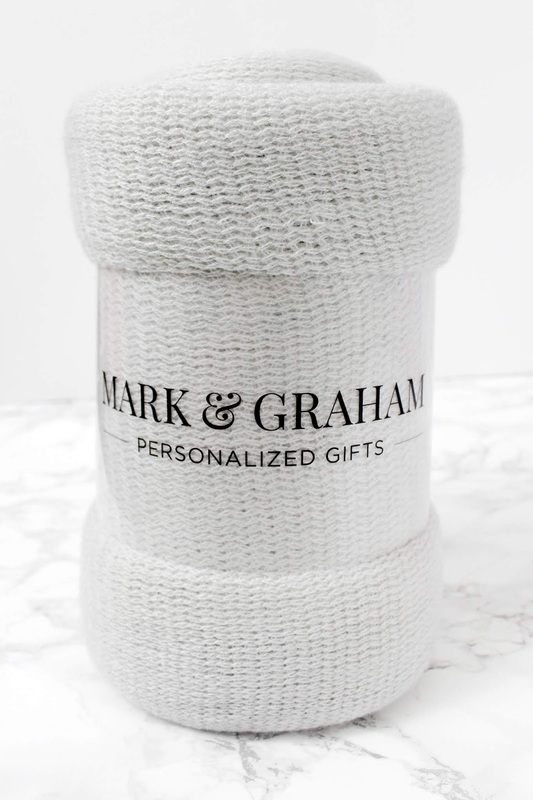 Mark & Graham Colorblock Throw ($49). Of course, I chose the grey. ;) I have to admit one more thing: I hate being cold. I always have a throw blanket close by (not kidding: office chair, every den chair, and a few on the couch for snuggles) and they wear out, so getting one more is okay with me. This one is so pretty, but a little thin, so I'm not going to wrap myself in it in the dead of winter to go get the mail, but it's nice for the couch. In the Add-On Sale, I got around $275 in products for $86! I feel like I scored big and I love everything that I got. 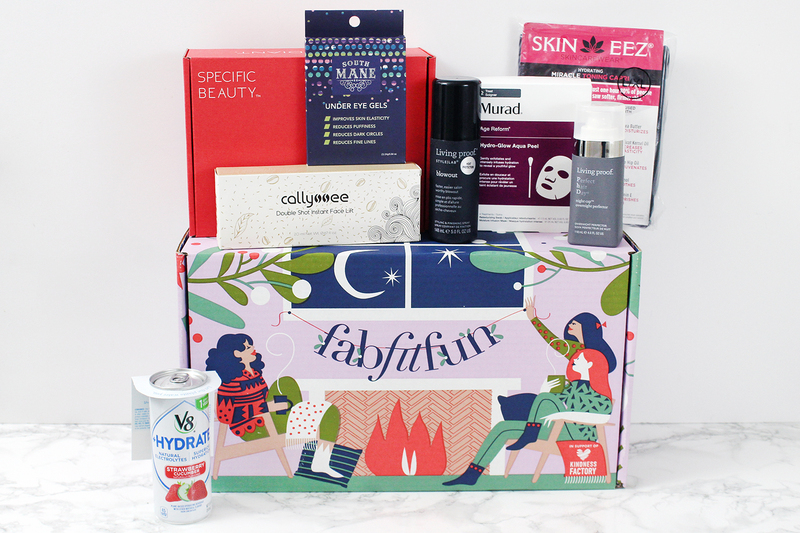 Get your first box at a discount for only $39.99 by going to this link ---> http://bit.ly/FabFitFunDiscount <--- and using the code SANTABABY! 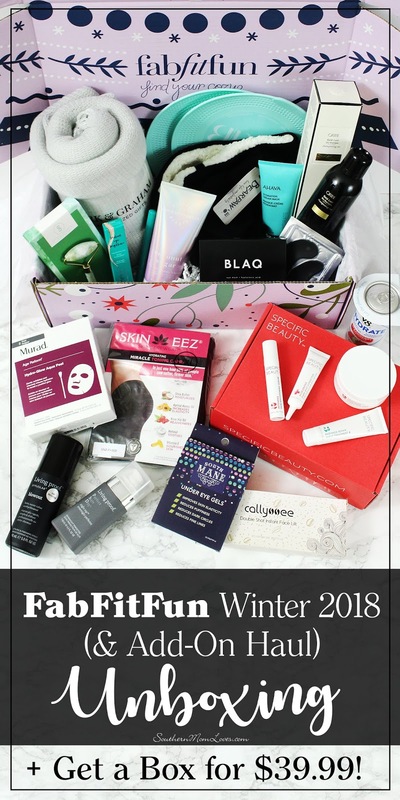 As of now, you can still get the $200+ Winter Box, but once it sells out, you'll have to wait for the Winter Editor's Box. I'll show you what's inside that one as soon as I find out. :) Happy Holidays, all! 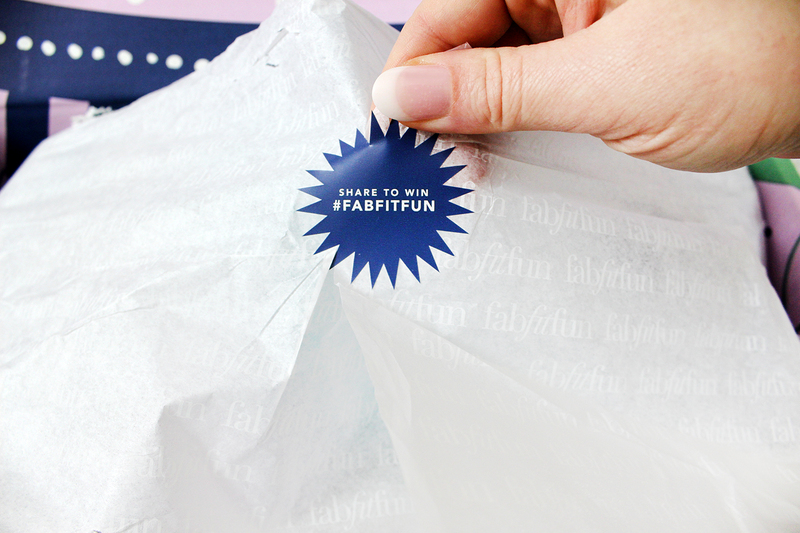 Do you get the FabFitFun box? What is your favorite item from the Winter box? I love to read your comments!